While adaptive learning technology is a pretty new market, several leaders are already emerging in the industry. If you’re looking for quality tools, most of the top adaptive learning technologies feature online learning, personalized plans, microlearning and more. Discover which companies in this space you should keep your eyes on as this field grows! Smart Sparrow was born out of a research group (the Adaptive Learning group) in Australia in 2011. The now San Francisco-based company is an online learning platform that specializes in adaptive and interactive learning experiences. Though online learning is attractive to many students because of the flexibility and accessibility it provides, Smart Sparrow recognized that students and teachers are often turned off by the process of online learning. That’s why Smart Sparrow replicates the in-person experience for students to make their learning as hands-on as possible. Smart Sparrow is half platform and half service—providing both the platform and the support educators need to build their plans and guide students based on learner feedback. This is a unique differentiator for adaptive learning technologies, as many products rely on algorithms that cut out unique personalization for educators. One of Smart Sparrow’s biggest partnerships is with Arizona State University. ASU started working with Smart Sparrow in 2014 to create HabWorlds Beyond—an innovative program focused on space exploration, climate science and search for life on other planets. Their partnership hits at the heart of Smart Sparrow’s mission: empowering teachers to make the world smarter. Founded in 2008, this New York-based company’s value is summed up in one word: data. If knowledge is power, Knewton is working to give higher ed instructors as much information as possible. Their learning analytics deliver student insights so educators can understand which lessons stick, and which don’t. Knewton pulls additional data from course materials to understand which content is the most effective and shares how students interact with the materials so they can be updated and optimized. Knewton’s enterprise solution is so effective that in the last 7 years they’ve forged 23 partnerships with big-name education companies and schools. Beyond enterprise, Knewton’s new software, Alta (launched in January 2018) will make their system more accessible to instructors across the globe. DreamBox is an adaptive learning software with a unique market; it focuses on closing math gaps in elementary and middle school settings. The software is flexible for each individual learner, so educators can provide the right lesson every day. Each student is equipped for success with DreamBox, as the software identifies opportunities for learners who are falling behind, and enriches the learning of students ahead of the curve. The result? The benefits of DreamBox are clear—when educators use DreamBox only 60 minutes a week, their students see a 58% increase in their math scores. ScootPad’s versatility makes it a popular choice among educators—the software provides several levels of automation so that you can be as hands on as you’d like. For example, if educators would rather take the wheel and ensure students master certain skills, they have that power; however, if other instructors prefer student-driven education that allows learners to pave their own path, that option is available. ScootPad is so popular that almost 220,000 teachers and over 2 million learners use the program to transform their learning experiences. In fact, one of ScootPad’s integrated schools saw incredible growth on state standardized tests—21% in English and 7% in math. 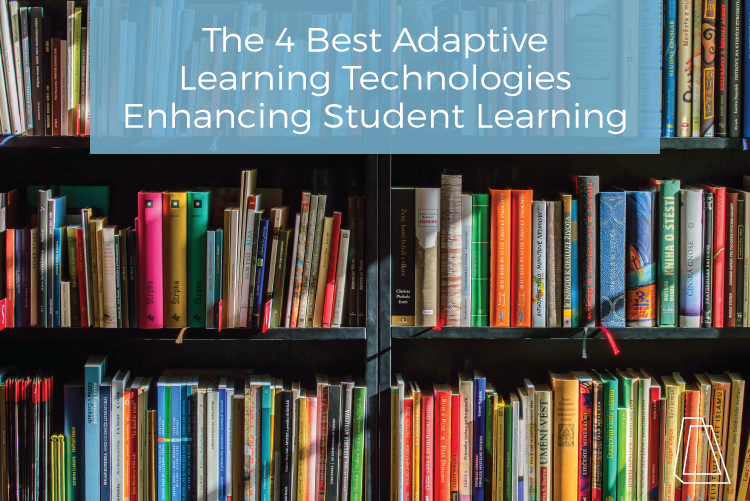 Did I miss any other best-in-class adaptive learning technologies? Let me know in the comments below.